Dice can be rolled for 36 different leadership phrases. 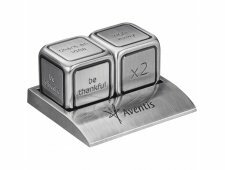 Includes matching metal alloy cradle. Leed\'s products are not designed for use by, or intended for children ages 12 and under. 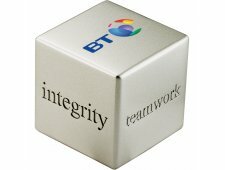 Each side delivers a motivating sentiment: Integrity, Quality, Attitude, Excellence, Teamwork. Logo or message is printed on the sixth side. Leed's products are not designed for use by, or intended for children ages 12 and under. No Game room? No Problem! 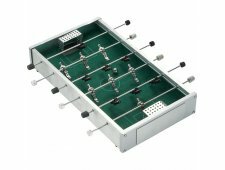 The lightweight Foosball Desktop Game also known as Table Soccer allows you to move this popular game from room to room at home or play while sitting in your office. 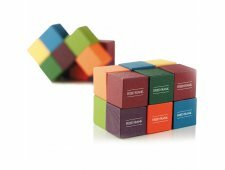 A very popular arcade game has now been transformed into a desktop game that can easily be played in the office or on any table top. 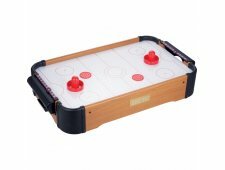 The Air Hockey Desktop game comes with 2 pucks, 2 paddles and a score chart. Requires 8 AA batteries. Batteries not included.